International Limited (Wilmar) to establish a new joint research laboratory. (NRF) Mr Heng Swee Keat. lifestyle-related diseases and sustainable production of industrial chemicals. 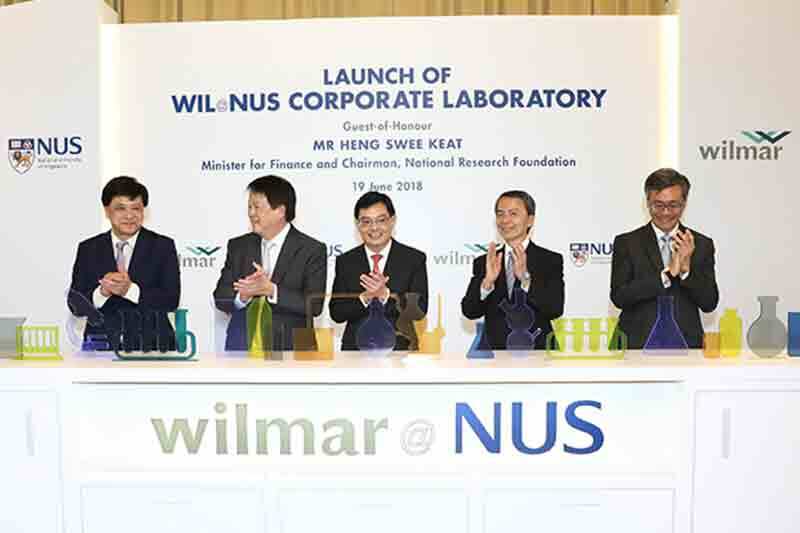 the S$110 million research facility is jointly set up by Wilmar, NUS and NRF. individuals manage diabetes and obesity. of producing chemical compounds using natural sources. flavours and fragrances, as well as therapeutics. synthetic biology-related industries in Singapore and Asia.